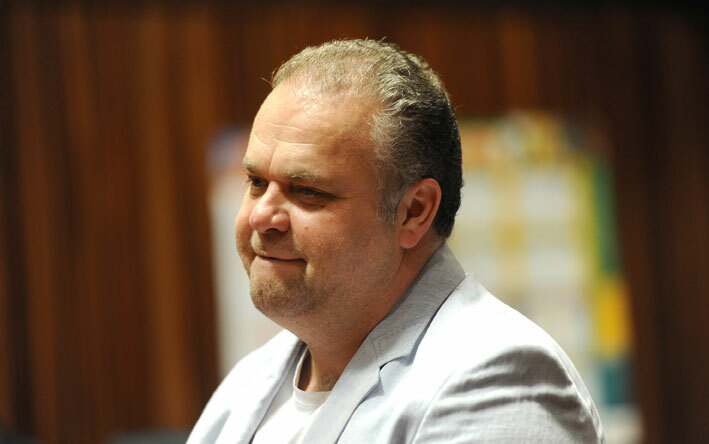 Radovan Krejcir cannot be trusted, the Palm Ridge Magistrate’s Court heard on Friday. Presenting arguments in Krejcir’s latest bail application, prosecutor Louis Mashiane said Krejcir, in an earlier testimony, had said he simply helped his wife Katerina Krejcirova in her business. On Friday, Krejcir’s legal team said she relied on him and the business was, therefore, suffering as a result of Krejcir’s arrest. Mashiane said this raised the question whether Krejcir did not in fact own the business. Annelene van den Heever for Krejcir earlier submitted that her client was not a fugitive from his home country the Czech Republic as suggested by the State. “He was detained and later released,” said Van den Heever. Mashiane disputed these claims, saying Krejcir was fighting extradition to the Czech Republic. “If he didn’t escape, why doesn’t he go back?” said Mashiane. Van den Heever was calling for her client to be released on bail, saying his defence team had provided new facts in the matter. She argued that presiding Magistrate Reginald Dama had previously denied Krejcir bail on information which she had now proved to be false. Mashiane argued that all the information that the defence claimed was false was information they had the opportunity to verify and argue in Krejcir’s previous bail bids. This was Krejcir’s third bail bid since his arrest in November on attempted murder and kidnapping charges. Earlier, Krejcir took the stand and testified that he had been informed that his wife had been arrested during the court adjournment on Friday morning. Piet du Plessis, also on Krejcir’s legal team, told the media Krejcirova was arrested in connection with an allegedly stolen vehicle which was found on the couple’s Vaal property. Dressed in black, Krejcirova was led out of court by heavily armed police and taken into police custody. Krejcir testified that he was informed that the police were now searching for his elder son, Dennis. He told the court that if he was not granted bail, there would be no one to take care of his four-year-old son as he had been informed that his wife would appear in court only on Monday. Krejcir said that while his mother was in the country, she was incapable of taking care of his son as she spoke no English and was not in good health. She had recently suffered a heart attack and had hurt her back. Krejcir’s mother sat in the front row of the public gallery listening to the proceedings. Mashiane pointed out that in an earlier testimony, Krejcir had told the court he had domestic workers, security guards, and a chef at his home. Van den Heever rejected this submission, saying the legal system stated that it was in the best interests of the child for him to be taken care of by his primary or secondary caregiver, not Krejcir’s help. She said it would be unjust for Krejcir’s son to be placed in the care of social workers while he had parents who were capable of taking care of him.